Fredericksburg, VA, July 5th, 2018 – According to the American Cancer Society, 41,400 people will die from breast cancer this year. Breast cancer impacts 1 in 8 women in the U.S, only 50% of which have a family history of breast cancer. In 2015, the CDC found that just 65% of women over 40 had a mammogram in the past two years, which means that thousands more women were foregoing this life-saving screening that is covered by insurance. Annual breast screenings can catch cancers early while it can still be successfully and effectively treated. Many organizations are recommending screenings every one to two years, advocating that occasional screenings don’t need to begin until the age of 50. Medical Imaging of Fredericksburg recommends that women over 40 get a mammogram every year. Annual mammograms are key to early detection, before the cancer has a chance to spread. Before regular screening mammography was a standard, cancers wouldn’t be caught until they were 2.5-3.5cm, meaning fewer chances of recovery. 3. If you see or feel anything abnormal, call your doctor to set up a mammogram appointment immediately. Medical Imaging of Fredericksburg provides outpatient medical imaging as part of Mary Washington Healthcare and in partnership with Radiologic Associates of Fredericksburg. Patients receive high quality, attentive care from Board Certified, Fellowship Trained Radiologists using cutting-edge technology. 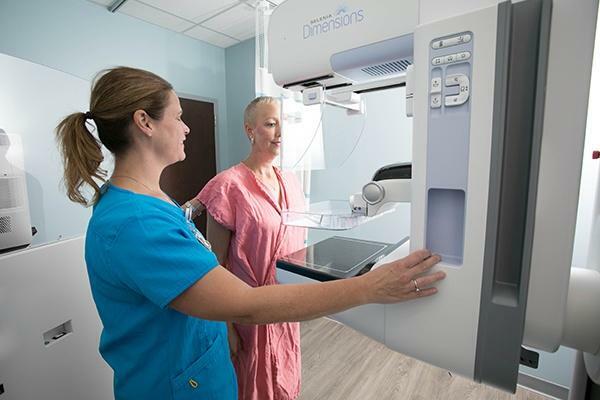 Patients can schedule a mammogram at the Imaging Centers for Women in Fredericksburg and North Stafford or at Medical Imaging at Lee’s Hill. Call 540-741-9729 to schedule.